Hidden away in the heart of Zakarpattia, surrounded by lush, majestic mountains, is one of the most magnificent cities in Ukraine, renowned for its unique history. 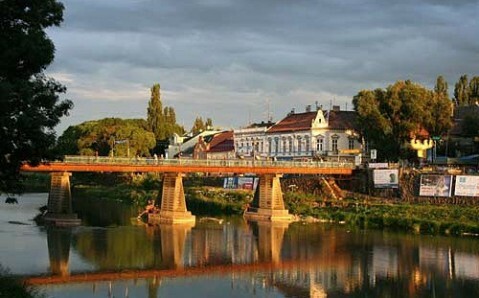 On its tiny territory, Mukachevo has been able to fit an astounding number of original sights. The interweaving of different layers of history and culture, reflected in the city’s original appearance, its mysterious medieval atmosphere, and amazing harmony attract and delight even the most seasoned travelers. Mukachevo is an ancient city. Historians precise information about the start of its history, though it is known that by the 10th and 11th centuries, it was already a developed part of the Kyivan Rus. It was at that time that Mukachevo was bestowed with one of its most intriguing sights – the Palanok Castle, now recognized as one of the most interesting and well-preserved fortifications in Ukraine. According to legend, it was the castle that gave the city its name. The story goes that a prince decided to build a castle that would be able to withstand any attack. To strengthen its position, he ordered a tall hill to be raised. The tortures (“muki” in Russian) of the locals who had to carry out his cruel wish became the the city's namesake. On this hill, the prince built a citadel, which later played an important role in the city's history and became its unofficial symbol. Due to its favorable geographic position, Mukachevo was for desired by outsiders for centuries and constantly had to fight for the right of its ownership. As a result, the city changed hands several times over the course of its millennia-long history, becoming a part of Hungary, Austria, Poland, and Czechoslovakia, until it was passed to the Soviet Union and later - to independent Ukraine. Each epoch not only changed the city’s ethnic composition, but also added inimitable features to its look. 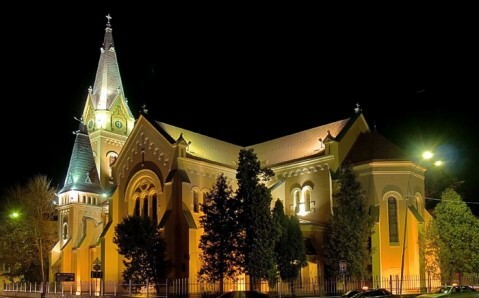 The history of Mukachevo can be seen in its architecture - medieval, Renaissance, Baroque... The majority of the city’s buildings survived since the times of Hungarian and Austrian rule. One of these, for example, is the splendid Rákóczi-Schönborn Palace, known to the locals as the “white house” because of the color of its facade. It was constructed in the 17th and 18th centuries in the Baroque and Renaissance styles. 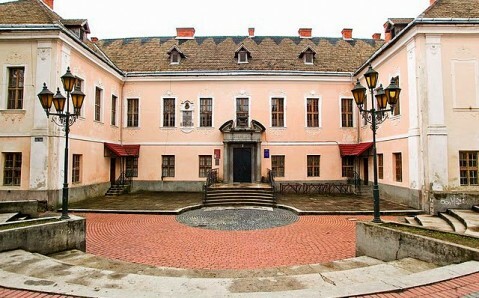 This former residence of Transylvanian princes and Austrian counts, is today one of Mukachevo’s brightest architectural monuments. A special place among the city’s sights belongs to the Saint Nicholas Monastery, the oldest in Zakarpattia, founded in the 11th century. Other examples of sacral architecture include the Dormitory Church, with its elegant sternness, and the ancient gothic St Martin Catholic Church, whose walls have preserved their original medieval paintings. 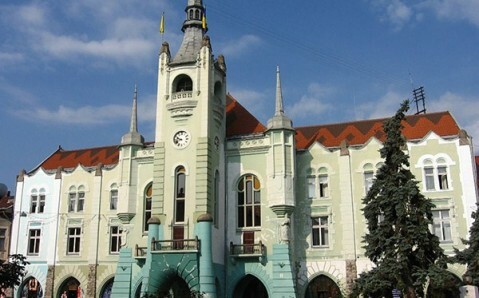 Mukachevo’s real gem is the Town Hall, built in the early 20th century. It is a gorgeous building that used to be recognized as one of the most beautiful in Europe; even today it will easily outshine its European contemporaries. Medieval castle’s walls, gothic basilicas, Baroque Catholic churches, ancient estates and pavements - all of these grant a unique beauty and atmosphere to Mukachevo, inviting visitors to walk into a true European fairy tale. And you cannot help but give in to this Carpathian city’s temptations! He visitado la ciudad de Mucacheve este año. Es una pequeña villa con a eso de 100 mil habitantes, pero con un encanto insuperable. Los pasillos adoquinados, edificios de distintos colores, paseos anchos, flanqueados por las casas residenciales te sorprenden y enamoran de sí. A mí me gusta más que Uzhgorod, que también he visitado este año. Los sitios neurálgicos de la ciudad son el pasillo principal en el pleno corazón de la ciudad que empieza con una majestuosa catedral de Asunción, y termina frente a la puerta del impecable ayuntamiento de espléndido color muy sorprendente. Además, una vez en Mucacheve debes visitar el Palacio Palanok que se yergue en una colina grande junto a la ciudad. Dicen que esa pequeña montaña es artificial. Es un desafío andar allí. Así es mejor coger un taxi o ir con guía. Parece que te basta dos días, para recorrer toda la ciudad multicultural, donde funde la cultura ucraniana, rusa, eslovaca, rumana y gitana. No debes sorprender de los gitanos que hasta hoy día usan los carruajes con caballos que corren tras los coches de máxima categoría.